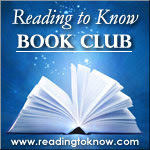 As you are most likely aware by now, the 2013 edition of the Reading to Know Book Club will be focused entirely on the classics. Each month we're alternating between a children's and an adult classic. You can view the list for this year's selections HERE. This month Shonya from Learning How Much I Don't Know will be leading the discussion. 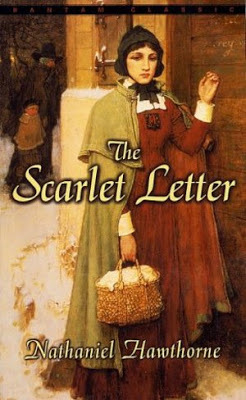 Her pick for the month is The Scarlet Letter , by Nathaniel Hawthorne. This is a quick read, at less than 200 pages, so I hope that you will find the time to squeeze it in at some point. I haven't read it since high school (like many, I'm sure) and am anxious to read it again for myself as an adult. Until I read The Scarlet Letter with my teenagers last year, I hadn't read it since high school twenty years ago. I got a lot more out of it this time through and am looking forward to reading everyone's thoughts of this great classic. Expect to see themes such as repentance (godly sorrow vs. sorrow of the world) and penance vs. penitence as well as pride and "presenting an image". I also especially enjoyed learning about philosophies such as puritanism, romanticism and transcendentalism in conjunction with reading the book and considering the time period in which Hawthorne wrote it. Read along with us and you won't soon forget Hester and Pearl, Chillingworth and Dimmesdale. If you examine yourself, you'll likely even see bits of their characters in your own. Think you might be able to join in with us this month? If so, leave us a note to let us know that you'll be reading along! Yes, I'll be reading along -- or more likely listening along via audiobook. The one I am looking at is only 7 hours or so. Like you, I haven't read it since high school. I will be reading along. I haven't read this book since before highschool, and I am looking forward to reading it again. My mom read this to me when I was 11 or 12. (My siblings were even younger - my mom loves literature and introduced us to hard books early.) I re-read it in High School, but haven't returned to it since. My favorite of Hawthorne's longer works is The House of Seven Gables. I'm reading! I too haven't read this since school days, but it's loaded on my Kindle AND I found a hardback copy when I reorganized my bookshelves this week. Score! The jury's still out for me. Ie red it at least two times, but I might revisit it again if nothing else captures my imagination. I'll be reading it; I'm another who hasn't touched it since high school. I'll be reading along. I haven't read it since high school either - looking forward to reading it. I'll be reading, although I don't have my blog up and running yet to post anything on. I've never read this book before, although I know it's a classic. I'm looking forward to diving in and reading all of your posts at the end of the month! Planning and hoping to read The Scarlet Letter this month! I haven't read it since high school either, but it was one of my literature professors favorite books. I can't wait to read participate.